It is well known that Dolly Khanna is the alias of Rajiv Khanna, a low profile investor from Chennai. This sensational news was revealed by Jwalit Vyas of ET. After months of painstaking research, Jwalit Vyas was able to contact Rajiv and Dolly Khanna and persuade them to reveal their life story. The rags-to-riches story, as revealed by Rajiv Khanna is quite fascinating and like a fairy tale. Rajiv Khanna also revealed his background in a youtube interview. He has had a brilliant academic career and qualified as a Chemical Engineer from the prestigious IIT Madras. 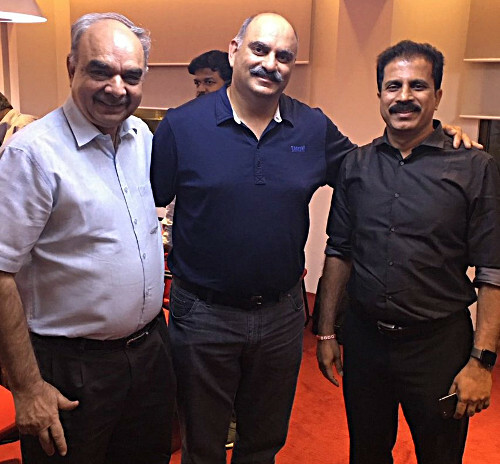 Dolly and Rajiv raised the initial capital to make the investment from the sale of their family business named ‘Kwality Milk Foods’. After that, there has been no looking back for the golden couple. The stock picks effortlessly turned into mega multibaggers and have caused a quantum jump in the value of the portfolio. Presently, the net worth of Dolly and Rajiv Khanna is in excess of Rs. 1,000 crore. Dolly Khanna’s portfolio is tracked with great interest by novice investors and also by members of the intelligentsia. The reason for the deep interest in what stocks Dolly Khanna is buying and what she holds in her portfolio is because her stock picks invariably become mega multibaggers. In fact, if one had just blindly cloned Dolly Khanna’s portfolio and bought the stocks that she has bought, he or she would be a multi-millionaire today. There are several examples of stocks bought by Dolly Khanna such as Avanti Feeds, Nilkamal, Rain Industries, Emkay Global, NOCIL, PPAP Auto, Sterling Tools, Thirumalai Chemicals, Asian Granito etc which have become multibaggers after she added them to her portfolio. So, let us pay attention to the latest holdings in Dolly Khanna’s portfolio as of 30th June 2018.
Who knows, these stocks may still have the wherewithal to become multibaggers and make us rich. As one can see, Rain Industries is the single-largest largest holding in the portfolio with a massive allocation of 25% of the net worth. Rain Industries can be confidently described as the “crown jewel” of Dolly Khanna’s portfolio. Manappuram Finance comes second with an allocation of 15% of the net worth amounting to Rs. 100 crore. GNFC is also a high-conviction stock with an allocation of 11% amounting to Rs. 72 crore. The balance of the net worth is distributed amongst 21 stocks. The lowest allocation is made to stocks like Associated Alcohol, Butterfly Gandhimathi Som Distilleries etc, with less than 1% of the net worth invested in each of them. In addition to the above list of stocks, Dolly Khanna also holds a number of stocks in her portfolio where the percentage does not exceed 1%. This holding is not required to be reported to the stock exchanges and remains under the radar. One example of this is Goa Carbon limited in which Dolly holds 48,195 shares as of 31st March 2018. The present holding is not known. Dolly Khanna usually adds new stocks to her portfolio every quarter. In fact, Dolly and Rajiv have the habit of churning the portfolio. Stocks are either added or reduced, depending on a variety of factors. It is not necessary that if Dolly and Rajiv Khanna have sold a stock, they have lost confidence in it. It may just be that the couple has found a stock with better and higher multibagger prospects. There are several examples of stocks which have gone on to become multibaggers even after Dolly Khanna sold them. Avanti Feeds is one such example of a stock which was unceremoniously ousted by Dolly from her portfolio. However, the stock went to give magnificent gains even from that stage. Of course, all latest buys of Dolly Khanna have to be scrutinized minutely to see whether there is a chance for us also to clone the pick and rake in multibagger gains. In the April to June 2018 quarter, Dolly has added two stocks to her portfolio being Muthoot Capital and Selan Exploration. Earlier, in the January to March 2018 quarter, Dolly has added three stocks to her portfolio. These were Associated Alcohols, Radico Khaitan and Som Distilleries. The merits of these three stocks is discussed here (see Dolly Khanna Discovers Multibagger Sector & Packs Portfolio With Stocks From It). The holding in LT Foods alias Daawat, which is one of Dolly’s old favourites, has also been increased to above 1%. Dolly Khanna has reduced her holding in Dwarikesh Sugar, Gujarat Narmada, Nitin Spinners, NOCIL, RSWM, Ruchira Papers, Sterling Tools, PPAP Automotive and Thirumalai Chemicals. In the October to December 2017, Dolly Khanna has added 225,928 shares of Butterfly Gandhimathi, a small-cap company engaged in the manufacture of cookers and kitchen appliances. Butterfly Gandhimathi is also a favourite of Ashish Kacholia. He holds 2,50,000 shares as of 31st December 2017 and added 1,52,404 shares on 12th January 2018. His aggregate holding is 402,404 shares as of date. The entire prospects of Butterfly Gandhimathi including a reference to research reports have been disclosed in detail here. Dolly Khanna has earlier been aggressively adding Rain Industries to her portfolio. However, she has now started paring her holding. As of the June 2017 quarter, she held 42,68,092 shares comprising 1.27% of the equity. In the September 2017 quarter, Dolly increased her stake to 68,77,710 shares. As of 31st December 2017, Dolly holds 86,30,115 shares of Rain Industries comprising 2.57% of the equity. In the Jan to March 2018 quarter, the holding had swelled to 89,47,515 shares. Presently, the holding stands at 86,52,410 shares. Rain Industries is also a favourite of Mohnish Pabrai. His Pabrai Investment Fund holds a massive quantum of shares in the Company. There are a number of recommendations of research reports on Rain Industries. Dolly Khanna’s net worth is definitely above Rs. 1,000 crore. The holding was about Rs. 900 crore as of the beginning of the year. In addition, there are holdings in several stocks which are not disclosed to the stock exchanges as they are below the statutory limit required for reporting. So, the aggregate net worth of all holdings in the portfolio will comfortably cross Rs. 1,000 crore. 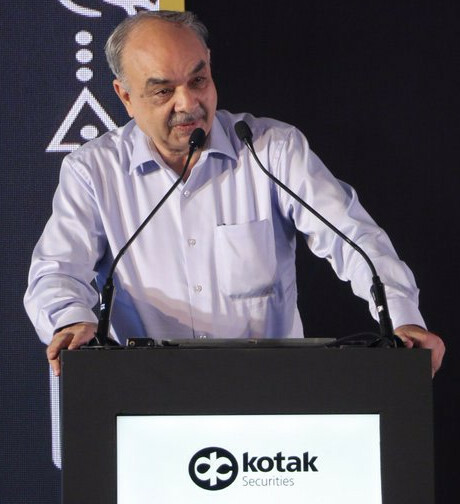 Rajiv Khanna was invited by Kotak Securities to explain his investment philosophy and strategy at the “LetsTalkMidCap” seminar. Unfortunately, neither a video nor a transcript of the talk has been made available by Kotak Securities. He opined that investors have to move beyond value investing and look at growth stocks if they want to find multibaggers for their portfolios.